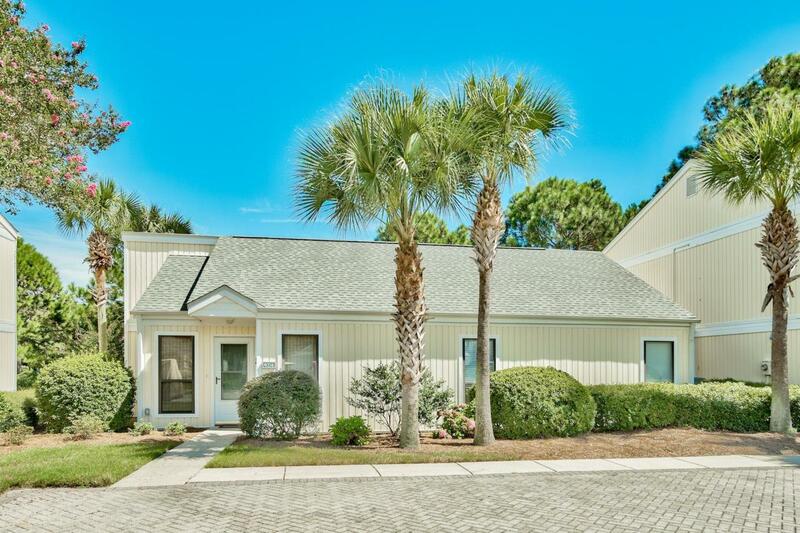 Enjoy all the amenities that resort life has to offer from this charming single story free standing condo with golf course and lake views conveniently located in Sandestin Resort! Fully furnished and ready to move in - this is the perfect place for your full time residence, second home, or investment property! Soft coastal vibes carry throughout the home. 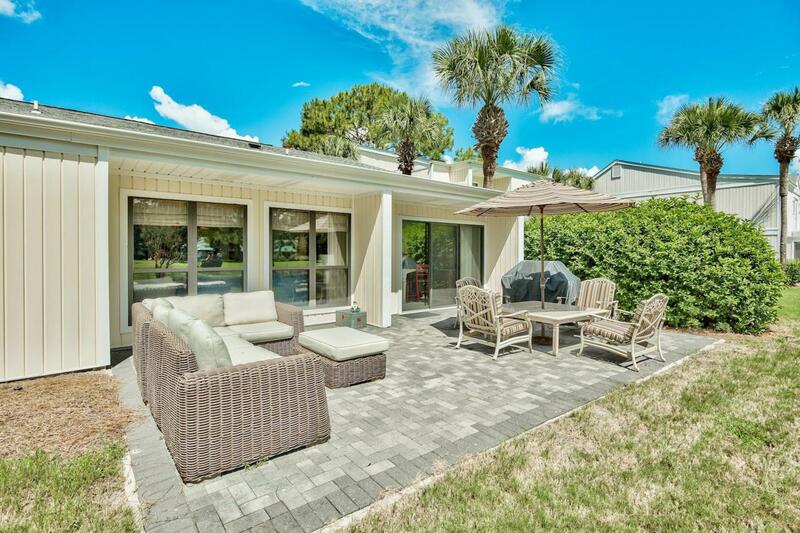 The spacious floor plan features two generous living areas, dining area, updated kitchen with custom glaze cabinetry, and an over-sized patio. The two guest bedrooms share a generous sized bathroom. 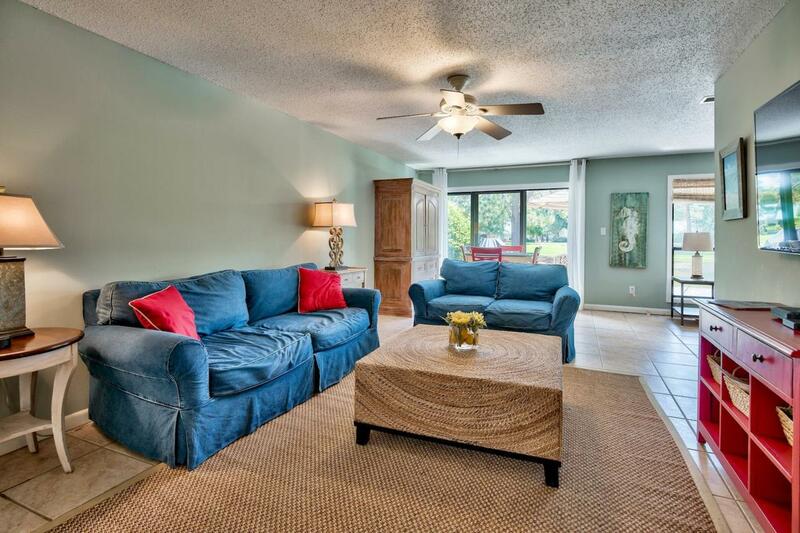 Large storage area outside for beach chairs and more. 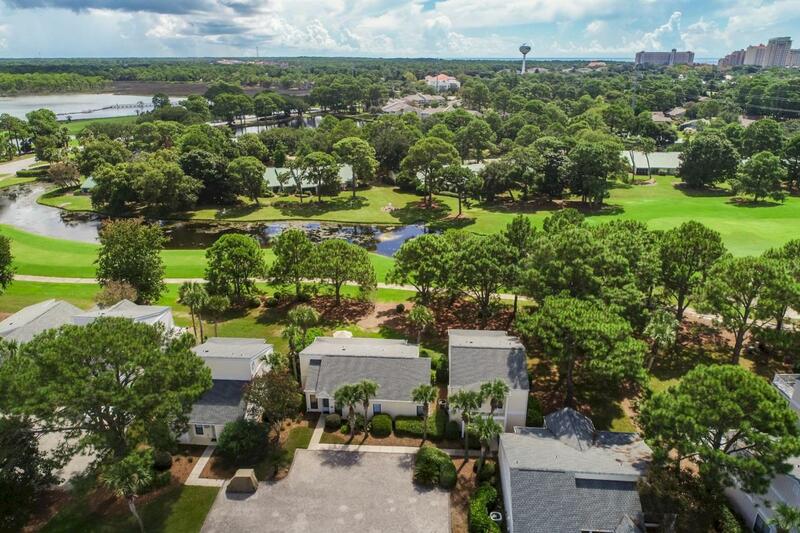 Your association dues include landscaping, exterior maintenance and insurance, two community pools, daily trash collection, basic cable, deeded beach access, security gates, and more!